I found myself wandering through an antique shop in Creve Coeur, Missouri a while back with my wife Carolyn. It's not my favorite thing to do but... not a problem, since she was having enough fun for both of us. My mind was about to implode when I suddenly saw something that set me back a bit. 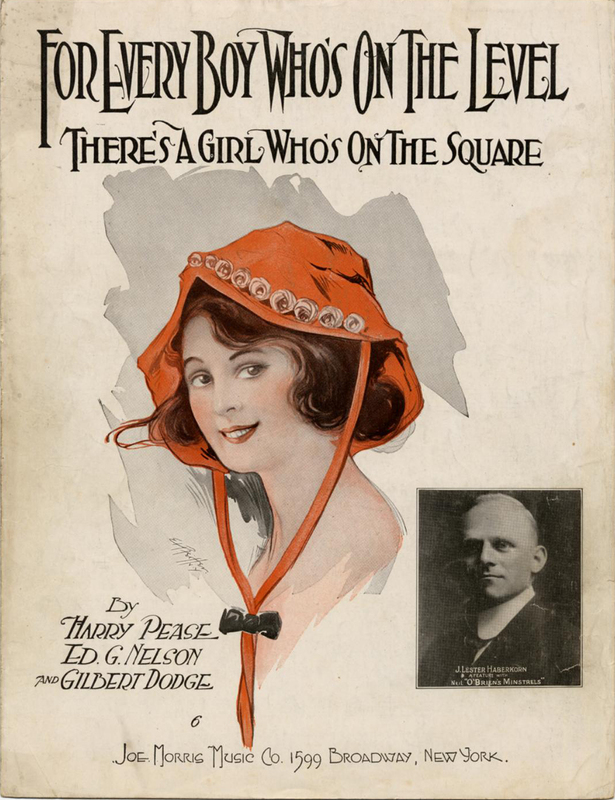 It was a somewhat nondescript piece of sheet music featuring a drawing of a young woman on its cover. That's standard enough, but it was the title of the song that struck me: "For Every Boy Who's On The Level There's A Girl Who's On The Square." "You've got to be kidding me," I thought. Closer inspection confirmed the title. It turns out this was a popular song in the 1920s, with lyrics and music by Harry Pease, Edward G. Nelson and Gilbert Dodge. I happen to be one of those guys who does believe in coincidences but, face it, one or all of those guys was a Freemason. None of them have a listing in Denslow's 10,000 Famous Freemasons, however, and I can't otherwise confirm any link to the fraternity. Edward G. Nelson (1885-1969) was an early 20th century songwriter with credits in several movies and television shows, most recently a rendition of his composition "Pretty Kitty Kelly" in a 2010 episode of HBO's Boardwalk Empire. Dodge was also a composer of the same period who primarily worked with Nelson. Pease was the Lyricist in the group. I was a pal to my daddy, and Dad was a pal to me. And it lingers through my memory. There's a girl who's just the same. It always pays to play an honest game. And they'll meet that someone sometime, somewhere. There's a girl who's on the square. And abide in our Maker above. Dear old girl, It speaks of how I love you. Perhaps the song's title speaks to a greater prevalence of Masonry in society in the 1920s than today. 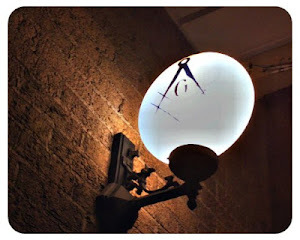 It may be that people in general back then would recognize its Masonic connection, or maybe it reflects the fact that Masons of the era comprised a larger percentage of the population. Today, the song's title would probably only have significance to our Brothers. I have a feeling the origin of the terms "on the level" and "on the square" was more familiar to people nearly a century ago than today. Perhaps a century or so from now, people looking back at our time will have lost the connections in our cultural references to Star Wars, James Bond and countless Internet memes in the same manner. A recording of the song as released in 1921 is available on the YouTube website at http://www.youtube.com/watch?v=tcScgDqzMAQ — or just search for "For every boy who's on the level." Sung by Victor Herbert and the Harmonizers Quartet, it is, by our musical standards of today, a listening experience for only the most adventurous among us. I listened to the song. First of all, I didn't know that there were so many Youtube videos of people playing old vinyl on phonographs. Now; how long until Jay-Z starts 'sampling' from this Masonically-tinted tune?